The “Big Game” better known as Super Bowl XLVII, was played in my home town of New Orleans. Specifically held in the Mercedes-Benz Louisiana Superdome. A fun event right? Well, it was supposed to be. The Super Bowl, in case you didn’t know, happens once a year and the two best teams in the United States are groomed to play one incredible game of NFL football. This year it was the San Francisco 49ers against the Baltimore Ravens. At this point the game has been played and won by the Ravens. The problem we had was I ended up causing us to miss out on a few functions. I slept through events. I complained about the cold temperatures and early morning shows. I was tired the majority of the time. This MS (multiple sclerosis) body can only take so much. The fatigue wins every time. I have limits. I’m use to this. I just hated to disappoint Tommy. I know he understands, but the guilt is almost unbearable! Nicole, I’m so glad you did thisand with your husband. I’m sure he enjoyed every min. you were there!! And when you had to rest I Know he was good with that. My Husband and I just went through a wedding for his youngest daughter. There were over 2 weeks planed activities. We got a hotel and I did as much as I could… My Husband told me it was nice when i was there with him and for those things I stayed at the hotel and rested(sleeping), it was nice to come back to me. Knowing I was with him as much as I could be. we really need the emotional support! Nita, Thanks for sticking around! You rock. Yes, in the end I was probably more effected then he was! We both had a good time though. After that picture I went home and crashed! MSers tend to be hard on ourselves because our illness also affects those around us (or so we think)–though not nearly as much as our weary brains make us believe! Just look at the “crowd” picture…YOU are the ONLY person smiling! Sock, I hear the more comfortable and acceptant I am the more at ease folks will be around me. Maybe perhaps as you noticed won’t even pay me any undo attention. So I tell my doctor, I don’t know whether it’s prudence or just-plain fear that keeps me from committing to this particular adventure… whether it’s a good idea to expect that things may fail and this facility/event may not permit me to deal with them properly (so I don’t attend and massively disappoint my wife), but I will be able to to deal with the challenges and it’s worth the risk but I’m scared of trying. Robert, Sounds like you have a class A doc. Nicole, your site looks so professional. The writing is so clear and honest. Great pictures. Keep hanging in there! I’ve had MS 29 years and started a blog to share tips. Can I share some on fatigue? Drugs help symptoms, but don’t nourish cells. Feed the cells with fruits, vegetables, 100% whole grains, nuts, seeds, and beans – to help make energy, detoxify the body, and protect you from sickness and disease. Juice or drink smoothies for the same reasons [celery and carrots; pineapple and strawberries; blue berries and strawberries]. Reduce all sugars – they reduce energy by stealing vitamin B-1 from nerves, increase inflammation which causes more MS symptoms, and make it easier to get sick. No artificial sweeteners. Real food for real cells. Drink more plain water to help blood move faster, rinse toxins out body, and so brain nerves can send messages faster. Do some form of exercise daily. It will increase your energy and strenth. Visit my website, or contact me with any questions. Regina, Thamks for the tips.I surely need all the help I can get! As for the site thanks got visiting. I release new posts on Tuesdays! Hey, you made it to the Superbowl itself. That’s more than quite a few of us were able to do! Pretty much all our friends know, at this point, that any “yes” from us is tentative and doesn’t guarantee we’ll be around for too long if we do arrive. I have actually become a little more social since my diagnosis, my goal for the moment being at least one outing with friends per month. My husband also knows that he’s not to miss out if I’m not up to it. He usually stays put, not being that social a critter to begin with. I’m past the point of feeling guilty anymore. I would rather not attend if I’m feeling miserable and bring everyone else down with me. Jenn, you are right. Plus, I don’t think hubby knew how tired I was. I must have crashed right after I took that pic! I wouldn’t feel guilty. You did get to go to the game and that was a goal achieved. 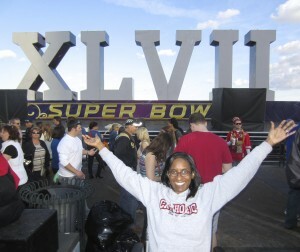 When I saw your picture at the Superbowl I was amazed at all the functions you attend. How do you get invited to so many special affairs? 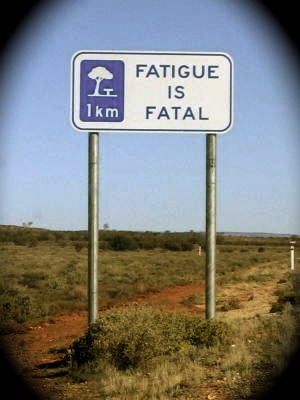 I take Provigil for fatigue. So far no side effects. It works for me. My neuro prescribes it for me. I would sleep all day without it. Elysia, What a wonderful sentiment. Sounds like we are both very blessed indeed. How many crazy football fans do you think would do anything just to get to do half of what you were awake for?! And after 7 years with MS I’ve learned that those with whom I do anything with are no longer surprised by my reaching a point that I can’t continue our activity which has helped me suspend “the guilt thing” (aka sometimes better termed as self pity….just for me of course). So I’m sure your husband was glad to partake in some of the events and having you with him was surely a bonus!!! On a personal note, I finally got cleared for gastric by-pass surgery which will take place tomorrow. So I’m hoping that helps rid me of the struggles with fatigue soon. Love you and your work and thanks again for another good article. Tim, Well Congrats to you! In the end hubby was satisfied with what we did do. Tim I have had MS now going on 8 yrs and I had gastric bypass in May of 2010 3 yrs out of it and 170 less i have more energy but still tired good luck to you…dont matter if you lose weight or not we have more energy but you need not to overdo..
Terry, I’m working on that one. My guess is that fatigue will always haunt me regardless of the weight but the advantage for general health that it should provide makes it worth the risks for me. I’m grateful to be able to have the surgery and that most of my days are focused on working out to prolong my mobility and healthiest life style possible. Tim, I’m doing the same thing, working on my mobility that is. Gene, Sounds like a good plan of attack to me! Bryan, MS or not you sound like a “man” to me. Ah, the “guilts.” I used to be a lot more fun (really!) and wish I weren’t telling my husband, “I’m too tired” so often. Hmm. That didn’t come out quite right. Well, you know what I mean! i’ve been living with MS for almost 12 years! i’ve gotten to the poitnt even while walking up stairs or narrow halls , that if someone is behind me, i’ll tell them to go ahead because when i get tired, i walk slow, or start tripping over my feet…or limping and i feel bad for people i walk with or who get “stuck” behind me…i totally understand, but thank God for your understanding Husband!! Chris, You’re right that’s the point here. I use to tell people to go ahead pass me when I used a walker too. I feel extremely guilty saying “No, I’m sorry. I can’t do that, I’m too tired.” So I usually don’t. I go ahead and forge thru, being miserable and hurting the whole time. I’m still in the phase of pretending I can do things that I can’t. Karen, don’t worry we all go through it. One way my husband and I have found very helpful is to have another couple come along. When I hit my wall usually the two of us women simply go back to the car for an hour of rest while the guys continue to have fun. Texting usually gets us back easily together. And think about having a blow up travel pillow, you know those kidney shaped ones, to put around your neck and sleep in place. I’ve often found an usher who can lead me to a quiet place. Mary Ellen, that sounds like an awesome idea! I just have to find me another couple. Kim, yes we really did. Though, I must admit I was relieved when it was all over! Barbara, Another reader just reminded me of that wall. I often get the ‘guilts,’ too, when I keep my husband from doing something he’d enjoy. I know he understands, but I still feel bad about it. I’m not into football, but it was an exciting game. Glad you got to enjoy some of the festivities! BTW — you have a gorgeous smile!! Muff, I tend to forget that he too is missing out on a bunch of things. I call it the MS wall. Once you hit it you have to rest to escape. Bill, that’s a great analogy. Fatigue is one of my symptoms and it often interrupts…family time mostly and it’s hard for others to understand that you just cant go that extra mile sometimes,, I know you did not want to dissapoint your hubby.. as I am sure half the enjoyment of it all was for him to enjoy your excitement…well guess what Nicole,, he still loves you no matter the fatigue! Ellajean, You’re right. He knows I wanted to go to the events just as much as he did. You poor thing, hope you’re feeling better soon. I had a pretty terrible couple of days last week where I was so tired it was painful (if that makes sense). It’s hard living life on the sidelines sometimes. Flats, I was better as soon as I got some rest. I feel the same way every time I find myself needing to just stop. How can I leave my wife to take care of the kids and their needs when she obviously needs help or a break? I know she will whenever I say I can’t. She doesn’t even complain. She saves those complaints for when she sees I should have asked to go lay down and didn’t. Still, I see her fatigue and disappointment too. Some times, life just hits those “All Stop” moments as the track undergoes needed repairs. Geof, It sounds like most of us deal with guilt as life tends to go on. I’ve said previously, I wish there was something better out there to address faigue for us. Something LEGAL! I am glad to hear that you & Tommy were able to partake in some of th superbowl festivities!